6 Foods For Amazingly Strong Nails — Are You Eating Them? Did you know that there’s a relationship between your fingernails and your bones? Believe it or not, they are so closely connected, that your fingernails actually give you a visual glimpse of the condition of your bones. Nutrition plays a very important role in strengthening both nails and bones, so today I’m going to share six delicious Foundation Foods that do just that. Savers will recognize cysteine, a sulfur-containing, non-essential amino acid that is incorporated into proteins. Many of the foods you’ll see listed today contain cysteine. Let’s start with one of my personal favorites, nutrient-rich salmon. Although it’s acidifying, salmon is a flavorful reservoir of bone-rejuvenating, nail-strengthening nutrients. It’s especially rich in B12, a deficiency of which can cause your fingernails to become dry and darkened. Salmon also has bone-building Vitamin D, a crucial vitamin for bone growth. Additionally, salmon is an excellent source of anti-inflammatory Omega-3 fatty acids, which work by regulating various biochemical reactions in the body. For example, components of Omega-3s block the inflammatory effects of Omega-6 fatty acids, which are high in the typical Western diet. 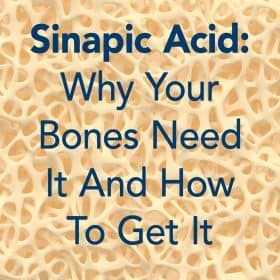 This is why a balance of fatty acids is important for optimal bone health and overall wellness. Another acidifying food, eggs have a place in a bone-healthy diet. They are one of the few dietary sources of Vitamin D, and their protein content is crucial for strong fingernails. Unlike meats, the protein in eggs is highly digestible and easily taken up by the body. Eggs contain iodine, which promotes healthy thyroid function. Both an overactive and underactive thyroid can cause excessive bone loss. One of the things that make rotten eggs smell so bad is their sulfur content. But in fresh eggs, sulfur is a beneficial nutrient that strengthens fingernails and hair. While lima beans don’t contain biotin, they are the only alkalizing beans. 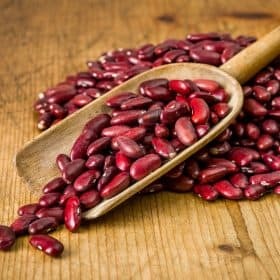 And lima beans contain no fewer than 12 Foundation Supplements, including calcium, magnesium, zinc, 6 B-complex vitamins, manganese, copper, potassium, phosphorous, and Vitamin K.
Oats contain micronutrients like copper and zinc that are important for healthy fingernail and bone maintenance. They also have manganese, silicon, and B-complex vitamins, all of which promote healthy fingernails and bones. If you are concerned about the phytic acid content of oats, you can soak them for a few hours or overnight. Soaking helps break down the phytic acid. Whether added to baked goods or sprinkled on various dishes, alkalizing sunflower seeds are packed with nutrients. One of the most important ones for building bones is magnesium, which is plentiful in sunflower seeds. In addition, sunflower seeds contain the trace minerals manganese and copper, which are essential for the synthesis and production of connective tissue in bones and cartilage. These crunchy seeds also contain Vitamin B6, zinc, and Vitamin E. All of these minerals and vitamins contribute to healthy fingernails and strong bones. Vitamin E in particular contributes to healthy bone remodeling, and it can protect against Alzheimer’s disease. Springtime is the perfect time for enjoying sweet, round peas (not to be confused with snap peas or chick peas). Like the sunflower seed, green peas are small but nutrient-rich. Their protein content helps with fingernail strength and rate of growth, and they also contain beta-carotene and Vitamin C.
Green peas are excellent for bone health, too. Full of Vitamin K and B-complex, peas also contain a surprising amount of Omega-3 fatty acid. While they are almost entirely free of fat, peas contain the form of have Omega-3 called alpha-linoleic acid (ALA), which the body converts to EPA (eicosapentaenoic acid) and DHA (docosahexaenoic acid), the form of Omega-3 found in fatty fish like salmon. While a good multivitamin and plant-based calcium supplement are important for optimal bone rejuvenation and fingernail health, whole foods are true multi-tasking marvels. No single-action, synthetic drug can come close to matching what the right foods and regular exercise can do for every body system. In fact, when it comes to whole-body health, it’s amazing what easy lifestyle practices can do to help you heal and reach your full health potential. This is why the Osteoporosis Reversal Program includes an extensive list of Foundation Foods, so you can put together the optimal nutrition plan for your bones. The Program breaks down bone-building Foundation Supplements – key nutrients for rejuvenating and maintaining bone integrity – and outlines exactly which Foundation Foods contain those nutrients. To aid this process and help you unlock the creative, delicious nature of Foundation Foods, I created Bone Appétit, the Save Our Bones cookbook. Bone Appétit showcases the colorful, flexible, flavorful nature of the foods your bones need, unlocking the amazing potential of bone-healthy cooking. With its clear guidelines (such as the 30 Day Meal Planner) and additional recipe collections (such as Calcilicious and Blender Magic), Bone Appétit leaves no room for confusion as to “what you should eat” for your bones, and the recipes are easy to prepare. Remember, when you eat bone-building foods, you’re boosting the health of many other body systems as well! I’d love to hear how you enjoy the foods mentioned in this post. Feel free to share recipes and other ideas by leaving a comment below. i would love to receive other articles from you in my email. This was a great article. I learned alot. I’ll look for that book Bone Appetit, it sounds like an interesting read. Good to have on hand for my weak nails. If you’re light skinned you have a greater challenge, my doctor informs me: building strength with regular and consistent weight training is the absolutely best way to preserve bone health because the muscle tissue supports and rebuilds bone. Fantastic blog! Do you have any suggestions for aspiring writers? I’m hoping to start my own site soon but I’m a little lost on everything. Would you advise starting with a free platform like WordPress or go for a paid option? There are so many options out there that I’m totally overwhelmed .. Any tips? Cheers! You should talk to your dr about re-introducing dark greens and especially broccoli back into you diet. You are correct to be concerned about vitamin k while on Coumadin. 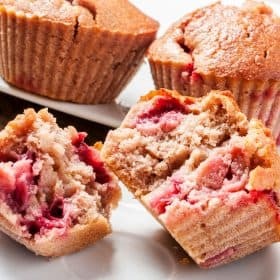 As you know Coumadin builds up in your system and then you ‘all of the sudden’ eat a serving of broccoli, a green salad or have a few alcoholic drinks and the blood thinner is released like a tsunami into your body causing your blood to thin to the point of excessive bleeding even from a bump, a bruise or a nick of your razor! A fall or a cut could be fatal! But, IF, while your dr monitors your Coumadin, you slowly re-introduce vitamin k foods, Then you can eat all those foods if you eat the SAME amount everyday! So a small green salad or 1/2 cup of broccoli. The key is to monitor closely and to measure your intake AND stick to your daily servings. good luck!! Yes I have heard about the connection between strong nails and bones before. But I’m sorry to tell you that this doesn’t always be the case because I for one have got extremely strong nails and always have but I have serious osteoporosis and am still only in my early sixties. If only it were true. My nails are very thin and break all the time, but I eat everything you mention regularly. Are all beans as good as each other? eg. baked beans, all green beans, kidney beans, tinned mixed beans, or is one kind better than the other? Good question, Lynette. Actually, most beans are acidifying. Lima beans are one of the few alkalizing beans. The other alkalizing beans and legumes include green beans, green peas, snap peas, soy beans (non-GMO, organic), and string beans. All other beans (pinto, kidney, navy, black, etc.) are acidifying. If you drink milk or eat wheat your bones will probably stay soft. My friend of 74years Young has just being told she dose’nt have Osteoporosis and never took a Calcium tablet in her life one of the lucky ones I suppose.Delighted for but would make you wonder enjoy all emails. Normal diet provides more than adequate calcium. The deficient mineral is usually Magnesium and without it the calcium doesn’t know where to go. Is there a way to share the article on fingernails (or any other articles) on social media? I don’t see any links. Never mind, I just found them — not colored like on most sites. Great Information that I will pass along. I also eat mostly all these foods. I take Biotin for the nails and it really helps. Also VIP I was told if I ate Steel Cut Oatmeal I could stop taking Crestor (for high cholesterol) and IT WORKED!! I have been doing this for about 3 years now and will never have to take Crestor again. Love your emails Vivian and do take your advice. I bought two of your books and take your plant based calcium. Great news, Joan! I am so glad you enjoy the e-mails and updates, and obviously you are putting what you learn into practice! Thanks for stopping by, Jane. The qtosuien is: What do you associate w/garden gates?Dream symbols are personal and relevant to your experience and associations. I might think of a carefree child swinging on a garden gate, the beauty of a garden about to open to me, the portal to a place of peace, or a secret garden. A gate bars the way but also promises something beyond. Again, what do you think of garden gates? What was the context in the dream? But I do try to cross out any info advocating grains. All grains contain gluten at varying degrees – no amount is good for anything. It is unfit for human consumption and should be avoided at ALL costs. It is the cause of allergies, inflammation and every consequential disease or disorder. I’m afraid the magnitude of the damage all grains cause is not fully understood on this website. Other demons are Soya, Corn, Cotton, Canola. If you want solid info refer to mercola.com at the very least. Hi Vivian,I eat all of that food every day but my nails still break,I heard if you dip your nails in Apple cider Ginger with a table spoonful of honey for 10minutes you will have great nails.Don’t know how often you have to do it. Have you heard of this. Thank you for the information about our nails. Mine are not that great but I do try and eat the right food for my bones ( and some times I do weaken ) However I have found that eating almonds has helped. I keep a jar full of almonds in the kitchen, and alway grab a few a couple of times during the day. Good thinking, Micky – almonds contain calcium, magnesium, zinc, copper, boron, and other bone- and nail-healthy nutrients! Thank you so much for all the wonderful and informative info you keep sending us. It is an amazing resource. About my fingernails….they seem to be flexible on their ends and don’t break when I bend them. I do have some striations on my thumb nails especially. I hope the nails’ flexibility reflects my bones but I do have severe osteo so am not sure. I love what I read from you. Considering buying your recipe book package. I have to eat gluten free, also dairy free. Will the recipes accommodate me? To get the most health benefits from sunflower seeds, it’s best to eat them raw and unsalted. Whether you choose shelled or un-shelled, look for sunflower seeds that are firm and crunchy, not limp or chewy. I have had weak nails all of my life. I never ever cut them, they just peel off. I have a thyroid problem and perhaps this is why. I eat a very good diet, but nothing helps the nails. I did lose a lot of bone in my hips a few years ago but this is now stable. I take thyroxine, maybe this has something to do with my nails. However I do remember even s child never needing to cut my nails!!! Very helpful about the nails and foods. Sometime soon, could you have the foods enriched with iodine for the thyroid. My levels is getting close to having to take medication, which I don’t want to take. Glad to know eggs have iodine in them. Been on the program for 6 years. More a question really. I have been diagnosed with essential thrombocythemia (high platelet count). Consultant wants me to take ‘ hydroxyurea’ to lower platelet count. (It is a low-dose chemo drug.) I have followed the alkaline diet for osteoporosis for several years now with good results, so am concerned about the possibility of a drug which increases levels of uric acid. I fear it will undermine all my good work with diet. I do not currently have a very high platelet count but am 62 which seems to automatically put one into a ‘high-risk’ group for whom medication is advised. Would much appreciate any comments you may have on this matter. Thanks Vivian for this wonderful information. I can always look at my nails and see how much stronger they look when I’m sticking to eating a healthier diet. Recently because of the distractions of a remodeling project we’ve been doing, I’ve neglected my diet. Right away I noticed how soft my nails had become. I’m thankful that now most of it is finished and I can get back to paying more attention to eating healthier. This morning I made a hash brown egg frittata and mixed into it, finely chopped broccoli, onions, green peppers and mushrooms. It is delicious. I like to make a large amount because it makes for great leftovers to reheat for later. I also like to top it off with grated parmesan, american or cheddar cheese. This is one of my favorite recipes and can’t wait for the farmers market so I can make it with a variety of other vegetables. Yum. I’d love that frittata recipe! That sounds absolutely delicious, Carol. And it’s fascinating that you noticed your fingernails growing weaker when you were not eating as well as usual. Great detective work! Can the delicious-sounding frittata recipe be frozen? I am an 81 yrs. one-person household? I drink almond milk at night when I am in bed, heated in the microwave for 1min.20secs., adding a teaspoonful of runny honey. I hope that is helping my nails as it is very nice! I wonder if fresh or dried beans are better for building bone. Also-if baby or mature beans are preferable. I’m ready to go and get them. Thanks. Have heard Lima beans are not good for low thyroid , is this true ? Thankyou for this. it would be helpful to have more on nails. I believe there is a direct correlation between nail appearance and missing vitamins. Dr’s don’t like giving blood tests to check levels and there is little else except guesswork. many thanks for your work. Yes, Gil – our bodies “tell” us when things are out of balance. I have a suggestion for the person with the high platelet count. See if the doctor thinks it would be a good idea to give a platelet donation like people give blood donations. That[s what my son-in-law did when he had a high platelet count.